The late 19th century Victorian house standing at 748 Beech Street in Kenova, in the US state of West Virginia, glows sinisterly in the dark from the fiery light of more than 3,000 hand-carved Jack-o-Lanterns every Halloween —a spectacle that some 30,000 people come to see each year. 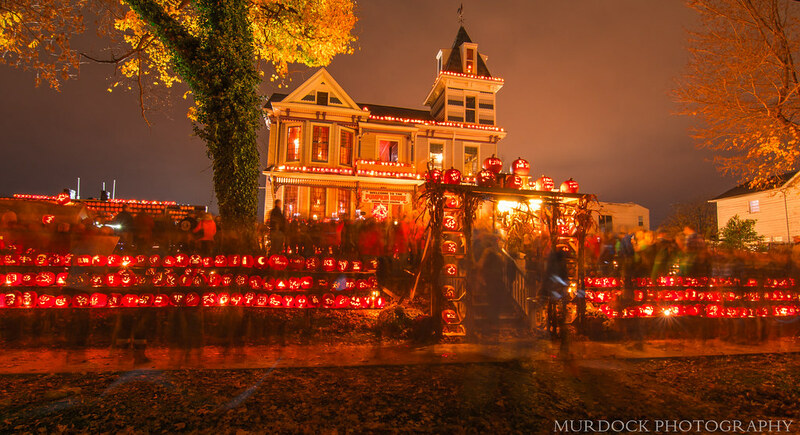 The tradition started in 1978 with just five decorated pumpkins which the house’s current owner, Ric Griffith —the town’s former mayor— put on his porch. 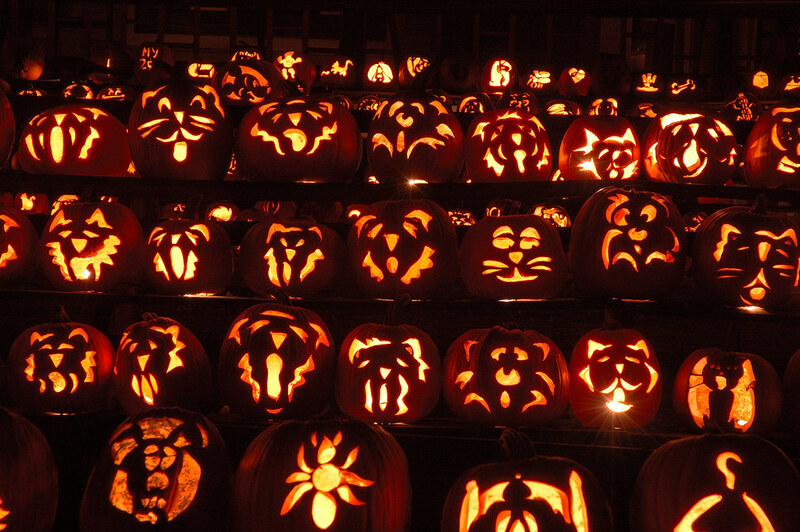 Each year after that, Griffith added more pumpkins to the display, until it grew from a few dozens to a few hundreds to few thousands. The pumpkins line the porch, cover the eaves and much of the roof. Long galleries and wooden shelves are put up on the front yard and along the perimeter of the property for the pumpkins carved with a variety of themes including sports, music, cartoon figures and pop-culture icons. This year’s pumpkin show had a political spin with lanterns carved in the likeness of both presidential candidates. Ric Griffith was originally helped by his family and friends, but as the scale of the project grew, neighbors and other volunteers joined in on the fun. Today, hundreds of volunteers help him with the carving, drilling and scooping of the pumpkins. Many of the volunteers have been working on the pumpkin display year after year. The Pumpkin House, originally known as The Beeches, was built in 1891 for a local banker and entrepreneur who was commissioner of the Internal Revenue Service under President Grover Cleveland. The house was later acquired by Ric Griffith, who is also the town’s pharmacist and owns a soda fountain. The Pumpkin House’s Halloween celebration is now part of Kenova’s annual AutumnFest festival celebrated on the last weekend of October.